In an industry that is so much sold out on image, it is difficult to change tack. It is almost equivalent to changing the color of your skin. Though there have been some exceptions, it is almost impossible for an actor who had made his mark in a particular type of role to move into other types. In other words, a comedian is always a comedian. A larger than life hero is always that. A villain is certainly that. But when somebody tries to make a changeover, the result is not often palatable. Like in the case of Yagnam. 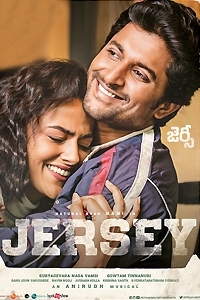 The film is actor Gopichand's, who has earned his spurs as a rabble-rousing villain in such films like Nijam, Jeyam and Varsham, shot at stardom. He is making a debut of sorts as a hero in this film. Yagnam is a typical factional-feud film with robust fights and rosy sentiments. Seenu (Gopichand) is the hatchet man of Reddappa (Devaraj) who is a faction leader fighting it out with Nayudamma. Seenu is implicit in his obedience to Reddappa. But things turn a violent turn when Redappa's daughter Sailaja (Sameera Benerji) falls heads over heels in love with Seenu. From here on things take a dramatic turn. 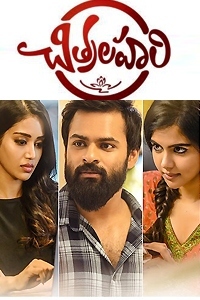 Unable to tolerate the love between his daughter and his factotum, Reddappa decides to patch up with Nayudamma to finish off Seenu, who by now elopes with Sailaja. However, there is pressure on both Reddappa and Nayudamma to keep having a go at each other, rather than agree for a truce. The hangers on both the leaders try to exploit the quaint situation. But with Seenu and Sailaja still on the run, the story veers towards a violent and action-packed denouement. Gopichand, as a hero, has acquitted himself very well. He looks confident and manages to carry off the role with ease and conviction. He has also improved his dialogue delivery and other aspects of acting. Sameera, on the contrary, is a big let down. For one, her character has very little depth and for another she also looks inadequate. Devaraj is in fine fettle as Reddappa. He oozes menace and has given his character a plausible glow. For Prakashraj it is yet another routine film and he just flits through the role. 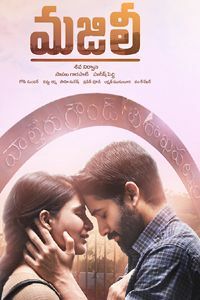 Mani Sharma's music is a major attraction as he has given the right aural tones to the movie. The other technical aspects also pass muster. Ramaraju's camera work is pleasing on the eyes. Director AS Ravikumar Chowdary begins promisingly. The first half is particularly top notch. He takes the film forward with interesting and impressive twists. But somehow he loses that poise towards the end and let the film degenerate into yet another cat-mouse villain-hero pointless fight. All told, Yagnam is like a half-finished meal --- it fails to whet your appetite.